I promised to write about the Hangleton Manor Dovecote in my second ever column over two years ago…and for those of you who have been waiting all that time, I have finally done what I said that I would do! Although some did actually use their dovecotes for storing doves, the gentry generally used them as a place to store pigeons as a source of food, especially during the winter. 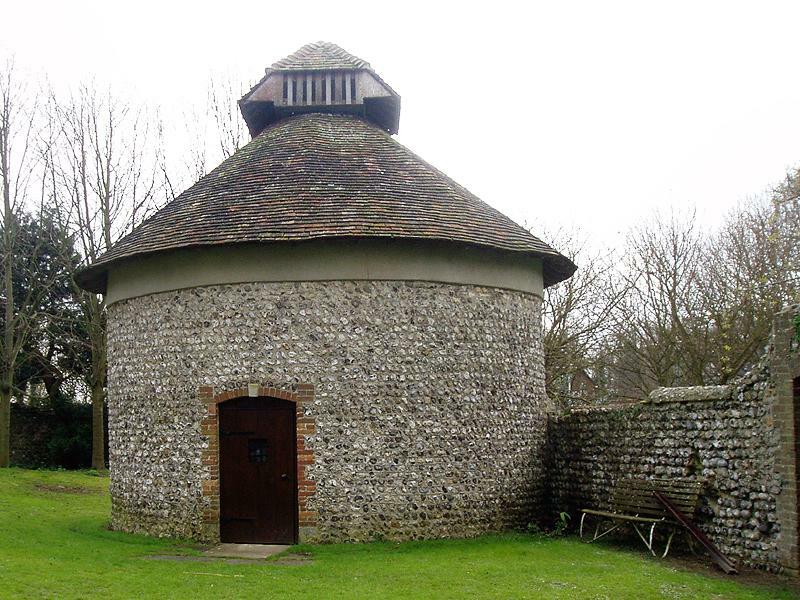 The Hangleton Manor Dovecote is situated behind Hangleton Manor and was probably built during the 1680s. 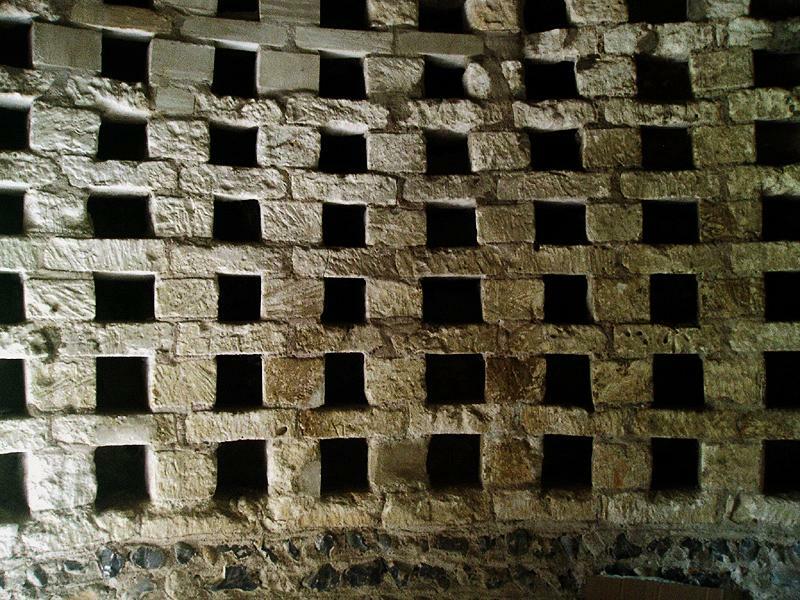 As dovecotes go, it is relatively small with 526 nesting chambers. Some have 1,000 to 2,000 spaces! It has a flint exterior wall which provides an interesting contrast to the fragile chalk blocks on the inside which form the pigeon holes. The Dovecote was massively damaged in 1972 when a mulberry tree fell through its roof during a storm. In 1983, the great Antony Dale, founder of the Regency Society, began overseeing a restoration project which included several interesting setbacks. For example, the first new batch of large chalk blocks for the nesting boxes was ruined when left exposed to bad weather. Later, when the new roof timbers were being fitted, it was discovered that the Dovecote is not a truly circular structure which understandably complicated the job further. Finally, 4,500 old tiles were required to top the project. When they arrived though, they were covered with lime mortar. This meant that the project helpers had to soak each tile and then carefully chip off the mortar – not fun! It was worth it though! Hangleton Manor itself was built during the 1540s for Richard Bellingham, soon after he had acquired the Lordship of the Manor making it the oldest surviving domestic building in Brighton & Hove. In 1597, the Bellinghams sold the Manor to Thomas Sackville whose family owned it for the next 370 years! After breaking with its original use as a farm in 1930, it became, in no particular order, a house, a hotel, a country club, a restaurant and, during the Second World War, a military establishment. Despite receiving Grade II* Listed status in 1956, it came awfully close to being demolished following a period of neglect. Although the Dovecote is generally not open to the public, it is possible to see inside -if you ask nicely! Call 01273 413266 to make enquiries; including those about the Manor’s fantastic Sunday lunches.